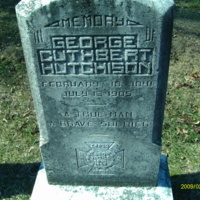 Chestnut Grove Cemetery is located in the Town of Herndon, just past Herndon High School on Dranesville Road. 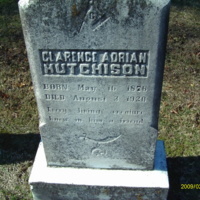 It was founded in 1872 to serve as a new burial ground for the residents of Herndon and the surrounding area. Perviously, many were buried in an area which is now Dulles Airport, and were reinterred within Chestnut Grove. Until 1997, Chestnut Grove was operated by volunteers, until the Town of Herndon took over the day-to-day operation of the cemetery. Today the cemetery is run by Mike Moore, and contains an abundance of US and world history on its grounds. The workers of Chestnut Grove are looking to associate more than names and dates to the people they care for, but a personal touch for families and friends to remember their loved ones by. 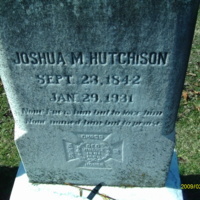 This collection focuses on the Hutchison plot, just one of the many family plots at Chestnut Grove. 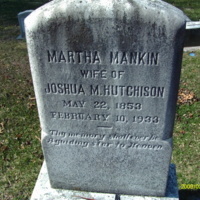 This image is of the headstone of Martha Mankin Hutchison, the wife of Joshua M. Hutchison. 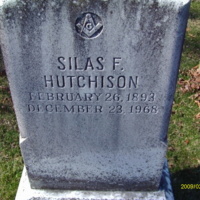 This headstone is of Silas Hutchison, the son of Joshua and Martha Hutchison. He would be married twice in his life, to Calla Gosnell and after her death he would marry her sister, Lois Gosnell. 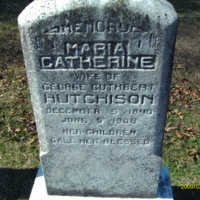 This is the headstone of Maria Catherine Hutchison, the wife of George Cuthbert Hutchison. 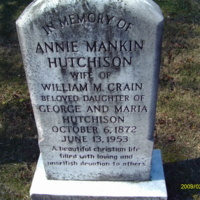 "Her children call her blessed"
This headstone is for Annie Mankin Hutchison, the daughter of George and Maria Hutchison. 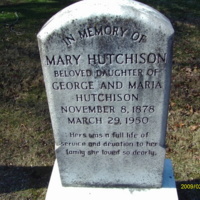 This is the headstone of Mary Hutchison, daughter of George and Maria Hutchison. She would move to North Carolina were she would live until the end of her days. 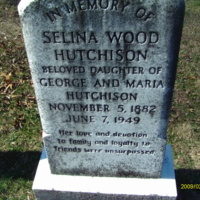 This image is the headstone of Selina Wood Hutchison, the daughter of George and Maria Hutchison. She would live her life unmarried. "Her love and devotion to family and loyalty to friends were unsurpassed." 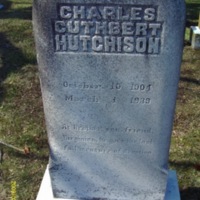 This is the headstone of Charles Cuthbert Hutchison, the third son of Hugh Barbour Hutchison and Helen Steele Hutchison. "As brother, son, friend, Virginian, he gave the best full measure of devotion."